Review: Dailism Eye Palette – Rose Memory (Heimish) – Oh My Stellar! So first off, the new design for the unit carton is absolutely beautiful and I love that it elevates the design of this palette. It makes it feel like something special for yourself. I much prefer this in comparison to their original plain box packaging (although that was nicely designed too). The new palettes come in a book-box style cardboard packaging with an added cardboard wrap around (which has some information on the shades). 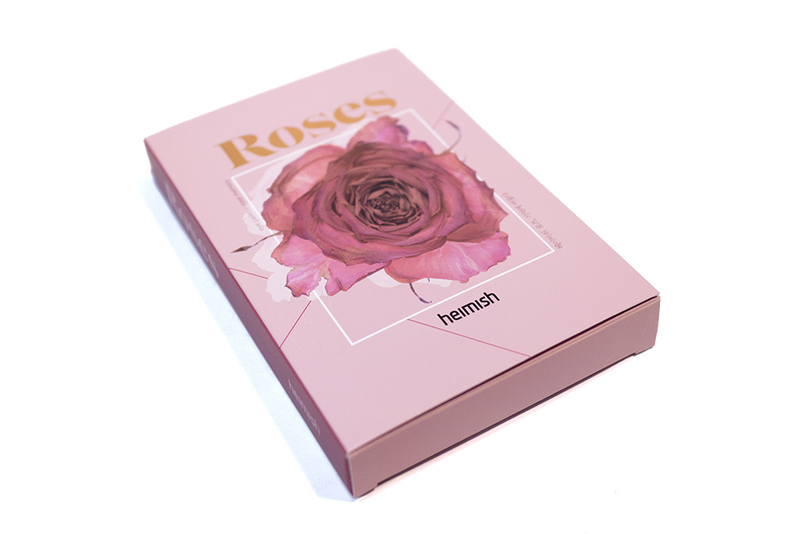 The box has a smooth matte finish and rose gold detailing, while the wrap is made of a contrasting watercolour paper texture. 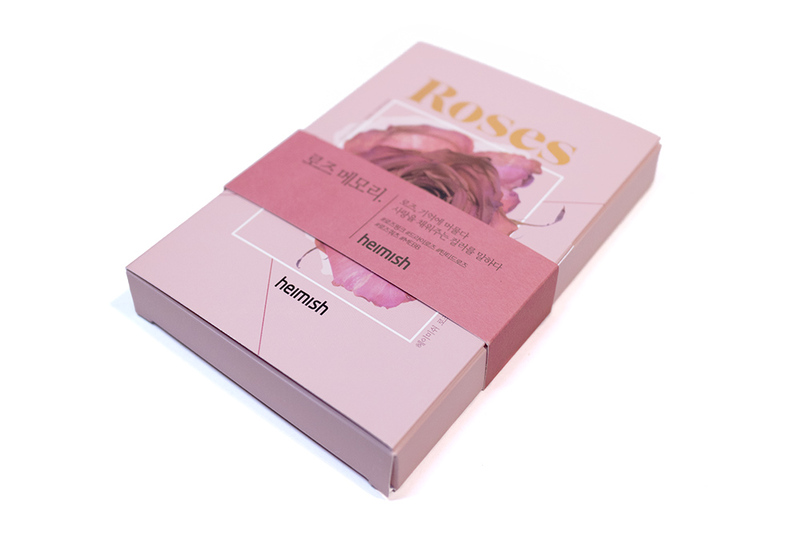 The design of each box is also unique to the palette theme – in this case, there is an artistic rose design to go with the concept of Rose Memory. All of these details really make the packaging look very luxurious. The front of the box opens up to a beautiful typographic design inside it (which I would love even more if I could read and understand all of the Korean). I love that it displays the actual palette inside of it and that it is actually easy to remove from here – there’s no need to actually take the box apart. You can easily put the palette back into the unit carton if you want to use it as a display piece (it looks great closed up because it’s like a book), although I keep mine out of the box just for the sake of space. Just with this unit carton alone, I think that this palette would look amazing as a gift (to yourself, to anyone else… mostly to myself). They’ve really outdone themselves with this repackage. 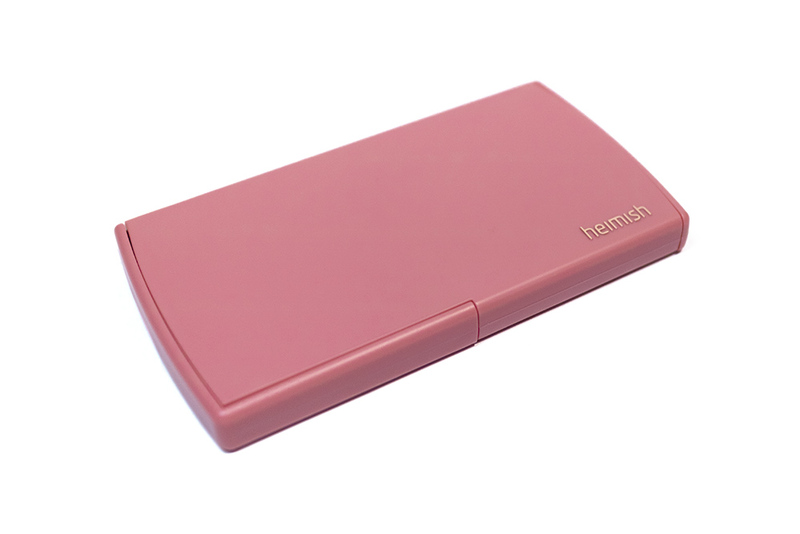 When it comes to the actual palette, the design of the case is almost the exact same as their original except that it is now redone in a matching rose-pink colour and also has the Heimish logo printed in rose gold to match. I love that this is a small change but instantly makes the packaging look a lot more interesting – and also gives you the added benefit of being able to tell all three shade variants apart. Their original palettes were all black, which made that virtually impossible if you owned more than one. 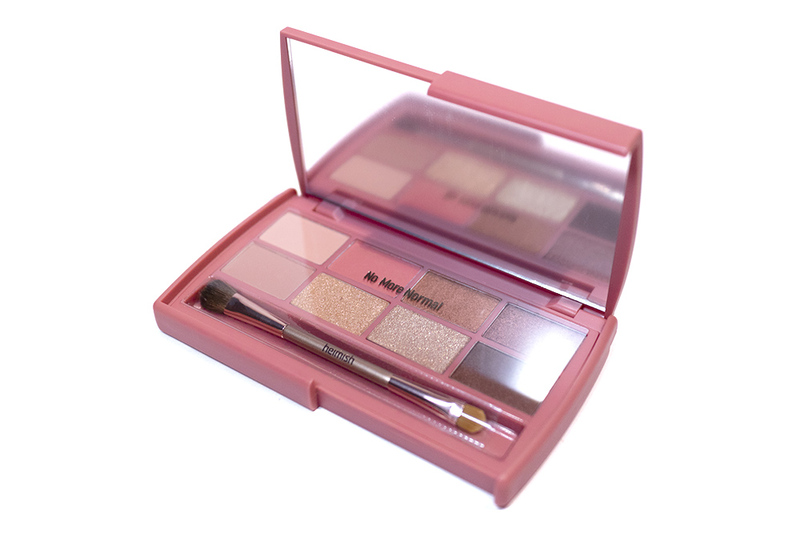 The plastic case is lightweight but sturdy with a matte finish – it’s simple and compact, making it a perfect travel palette or for on-the-go. 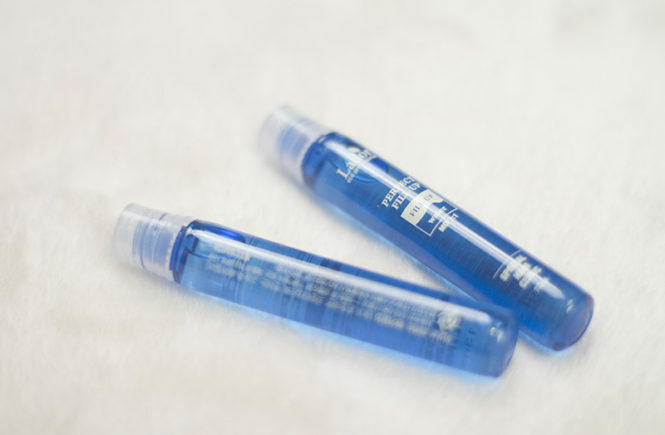 The closure is designed so that it clicks together really well – it has a physical locking system so it doesn’t rely on any magnet to close it – it is still easy to open up but is super secure and I have never had this open up during travels. From the inside of the palette, you will find a nice plastic cover. I personally end up throwing out a lot of these but I always keep the Heimish ones because they are actually made of a decent quality plastic and the dip in the front (intended to house the dual ended brush) makes the cover more secure. Unlike with other palettes, I know that the plastic won’t accidentally nick or scratch the pans when I am closing it up. This also helps to keep the palette neat and tidy when used for travels. As mentioned, this palette does come with a small dual ended brush. 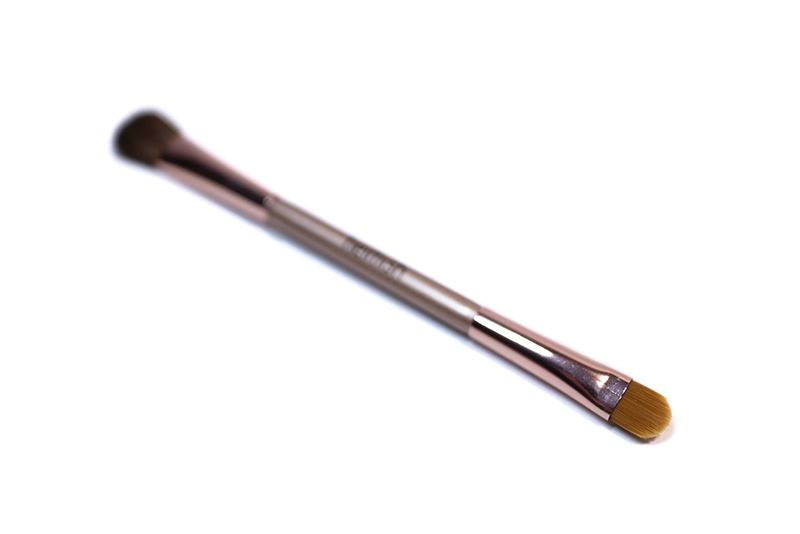 The brush has a very soft blending side as well as a smaller flat tip side – it is essentially the same as the original too, except it is now in rose gold. 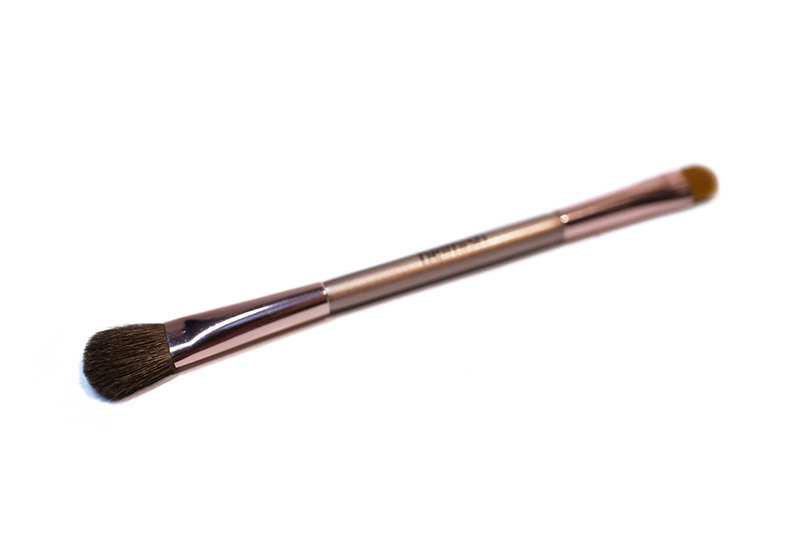 In the past, I used this brush quite often and I think that it’s a decent brush for any touch ups. However, I am always more comfortable using my own brushes so would no use this for actual full application. 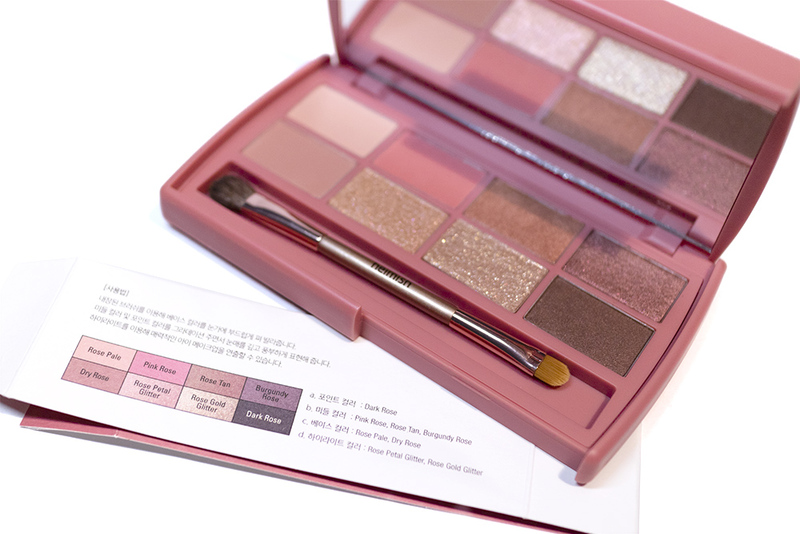 The Dailism Eye Palette in Rose Memory comes with eight different eyeshadow shades ranging from mattes to metallics, a satin and shimmers. Most of the shades have some form of a pink undertone or twist to them, which means that this palette does fall a little bit more cool than the other options. It isn’t a true cool toned palette, but it is a step in that direction. 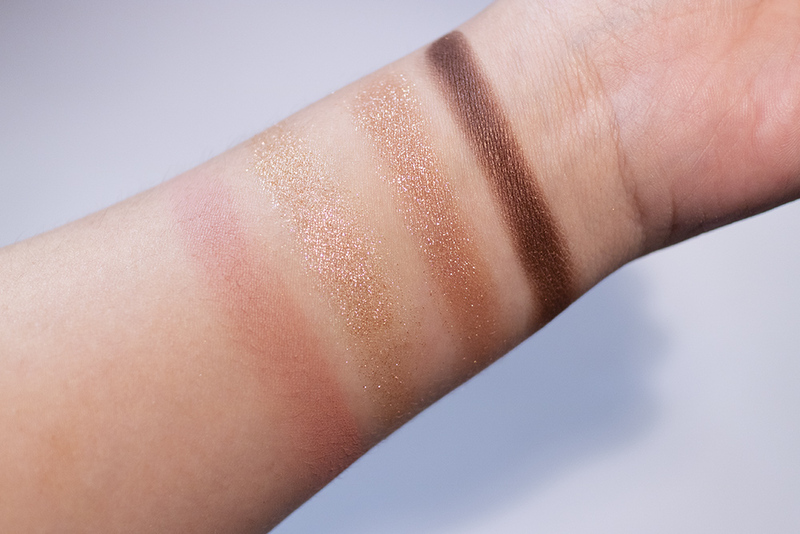 Below I have swatches of the two rows on my arms and – when I compare it to my swatches of the original palette – the pigmentation looks substantially better now. I’m not sure if this is because I’ve gotten better at swatches or if it is an improvement in their formula (since I no longer have the original to compare with) but I am thinking that it is the latter. The formula of these shadows are more pigmented than what I have come to expect from kbeauty brands and they are also very easy to blend and buildable. Heimish has impressed me once again and I’m really glad that I decided to revisit this palette because they’ve really made substantial improvements since the first launch. Their packaging looks amazing and is a lot more high end, detailed and well-designed. In fact, I think that their unit carton is one of the best in the kbeauty industry (with the only competition being 16 Brand but their ‘look’ is very different to this). The simple improvements to their palette packaging were also very effective and they have essentially satisfied every complaint I had about the original design! 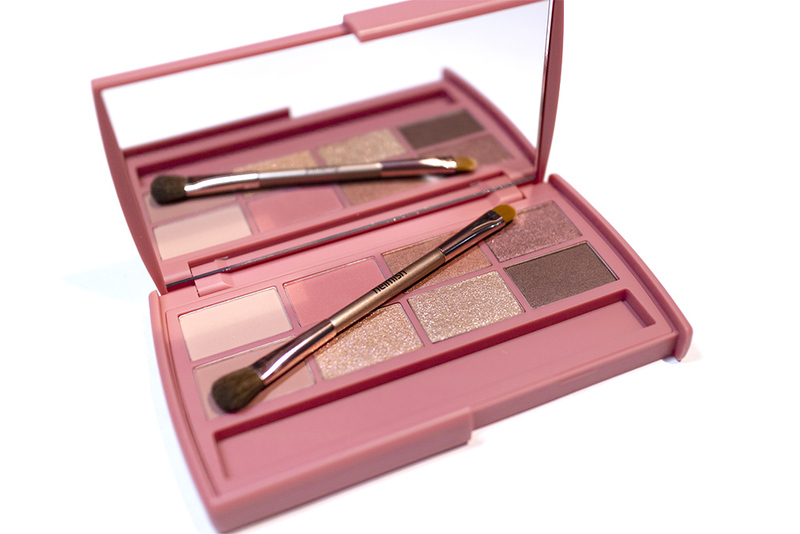 When it comes to the eyeshadow formula and shade range here – I also love it! 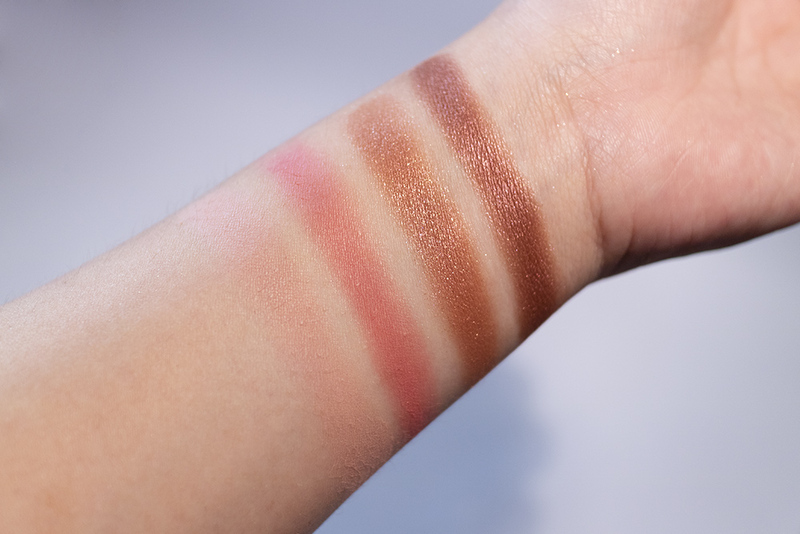 With the same palette, I’m able to achieve a lot of different looks – most importantly, I can actually get a good smokey rose look from these shadows! I always apply my eyeshadows with a primer and then I would generally set the primer with the Rose Pale shade. Out of all of the shades, my favourite would have to be Burgundy Rose and Rose Petal Glitter (which actually reminds me of a more subtle version of the MAC Snowflushed – aka the Stylishly Merry dupe) – I use these shades almost without fail for every look. My least favourite would probably be the two base mattes, not because there is anything wrong with the formula but because they are on the sheer side and take a lot of building up on my end. I would prefer if Dry Rose was a bit deeper so that I could use it to deepen the crease more easily. 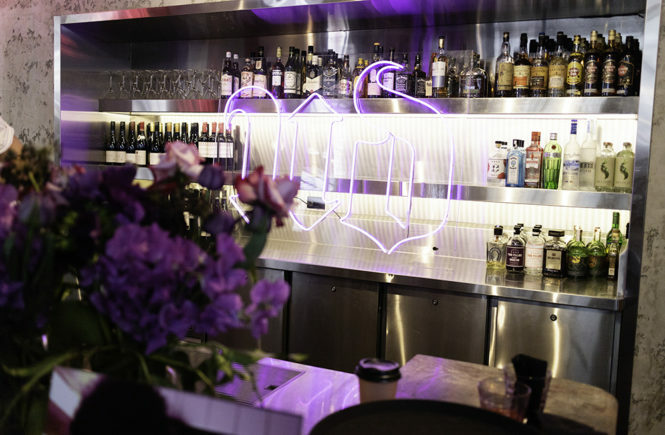 And so – here’s the verdict! I love this palette and I would absolutely be recommending it to people! However, I do want to note that this palette (or any kbeauty palette) would not be for everyone though. I would mostly recommend this to people who want versatile and easy to use eyeshadows, that will mostly be using the shades for daily looks but still wants the option to do something a bit more sultry for special occasions. 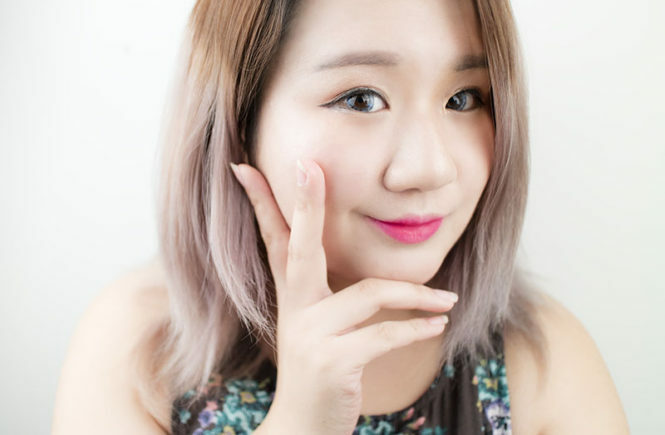 The shades are beautiful and wearable, but they aren’t super unique so people who are used to wearing bold, Western-style eye make up may not like this. For those who love a softer kbeauty style of make up though, I honestly think the Heimish palettes are the best on the market at the moment! 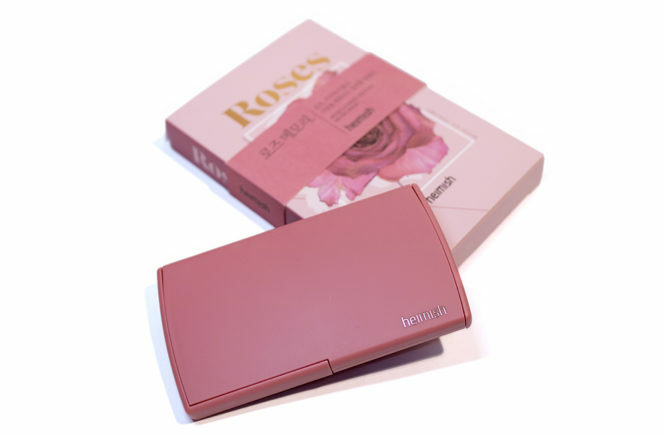 I was sent this to review from StyleKorean to jump onto their website if you want to get this – it’s currently selling for USD$32 and you can check out all three of the colour variations to see which suits you the best: Rose Memory, Coral Essay (which I might get next) and Brick Brown.